Bloomsbury USA Childrens, 9780802735591, 40pp. Geisel Honor-winning author/illustrator Salina Yoon introduces adorable duo Bear and his bunny Floppy in Found--a charming picture book that celebrates love and friendship in its many forms. When Bear finds a lost stuffed toy bunny in the forest, he begins to worry. After all, the stuffed bunny must feel lonely and want to return safely to its owner and home! But as Bear diligently searches for the bunny’s owner, he grows attached to his newfound friend. What will happen when the bunny’s owner finally comes forward? Was Bear meant to find the bunny all along? 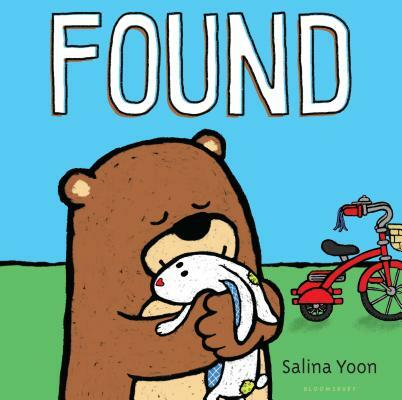 Prolific author/illustrator Salina Yoon's spare text and bright, energetic illustrations bring to life this endearing story that reminds us that nothing is lost that is not meant to be found.